The United States has historically been a laboratory of the future for the rest of the world: I remember how I was awed when I arrived in New York in the 1960s and saw what the future looked like, with gigantic highways, sprawling suburbs and televisions everywhere. Now the US is doing it again, if you know where to look. David Leonhardt, heading The Upshot, a new New York Times venture focused on investigative and analytical journalism (and that means data-crunching), recently reported the results of a study done following a suggestion from Google’s chief economist, Hal Varian. The piece, titled “Inequality and Web Search Trends – In One America, Guns and Diet. 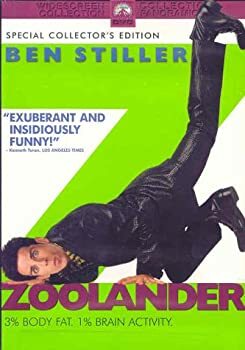 In the Other, Cameras and ‘Zoolander‘”, explains how the research was done. Serious stuff, analyzing a decade of search data county by county across the whole of the US, categorized by an income-education-health index and then comparing the results to web searches on Google to uncover people’s interests and concerns at both ends of the income distribution. What rich people search for on Google compared to poor people. Rich people are concerned with acquiring the latest technology and traveling to distant lands. The poor worry about their health and look for weight-loss diets (the new poverty in America is associated with obesity). Yes, that’s what future inequality will look like: access to new technology and round-the-world travel will be reserved to the rich and likely to be denied to the masses. Why? Too expensive.Another NYT article from The Upshot suggests that we may all be stuck in rut: there is evidence that in climbing the social ladder, geographic location matters. The chances that a child raised in the bottom fifth will rise to the top are lowest in the “old South”, around 4% in places like Atlanta and Charlotte. Conversely, they are much better in the North, for example 33% in Willinston, North Dakota. Clearly, parental and school environment matters. Personally, I hope I’m wrong about that. Still, I did try to imagine our future on the basis of such trends and the result (as all those following this blog already know) can be found in my latest book “Forever Young”. My goal was simple, I did not want to write fantasy science fiction, I wanted to take a “hard” look at what our future would really be like. I only wish this NYT study had come out sooner, as I was writing my book, but at least I feel vindicated: this is confirmation that my premise is sound…Nevertheless, I still hope the trends towards inequality that we see today – especially in a book like Piketty’s “Capital in the Twenty-First Century” – will ultimately prove wrong. Can the Millennials get us out of the inequality rut? Previous Post To Publish AND Perish – Will the Tsunami of e-books Destroy our Culture? Lots of thorny issues here and it requires treading carefully to keep from being pricked. I’ve always been wary of the conclusions arrived at by crunching cold, impersonal numbers. The classic example is averages. If you have two people in a room and one is 40 and the other 20, their average age is 30, yet neither is close to that age, so it is irrelevant except as a mathematical exercise. I have lived in the ‘deep South’ all my life, mainly in Atlanta, and I can tell you from personal, everyday experience that it is one of the most modern, progressive, and highly educated cities in the world (having travelled through much of it). My experience with number crunchers is that they too often have a theory or agenda they are trying to prove and cherry-pick the info that supports it. Thank God your book Forever Young transcends number crunching and focuses on human frailties and strengths that have taken us down the path of destruction and redemption countless times since the beginning of recorded history. Its always about individual human beings in all their grime and glory, and always will be, but I can’t offer you any cold hard facts to support this theory. Thank you for Forever Young. I find deep in its core a savage quest for the survival of mankind, much as there was by the Allies in WWII.